I worked on a project for the HBO Visionaries competition. I was cam op/DP for this project, we were also a skeleton crew so we all wore many hats. We shot it on the Canon 7D. Single cam. Haven't used that camera in maybe 2-3 years. Yeah, it's been awhile! We used kinos, my LED light panels, and natural light with a lot of bounce. We mostly shot indoors then outdoors on the last day. I started working as a Post-Production Supervisor/DIT/General Post stuffs at True Beauty HD. I work on a couple of projects at a time with a lot of client facing. My first week was pretty hectic, but controlled - if that makes sense. We mainly work on beauty campaigns for internet/broadcast/mobile, and internal educational videos. 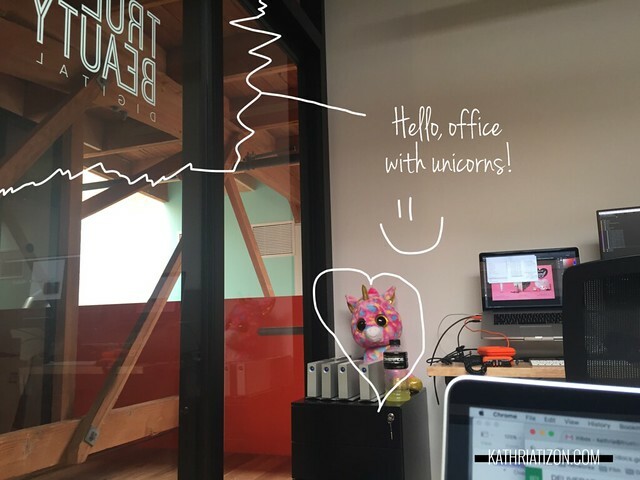 Also, unicorns are pretty much the mascot for the company brand. So. Dope.